Fistaface @ FortWayneMusic.com Bands :: Local Music, Shows, and More! 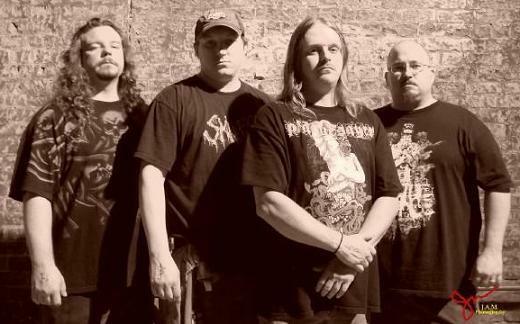 FISTAFACE is an original metal band formed in 1999 and based in Auburn, IN (USA). Our music style is mixed, combining several different types of metal into some groove oriented, head banging, mosh pit thrashing mayhem! We've had several line-up changes since the beginning, until piecing together our current group of Metal Maniacs! Right now we have....Chris Burch on Vocals & Bass, Bill Lilly on Drums & Backing Vocals, Jason Mitchell on Rhythm Guitar and Scotty James on Lead Guitar. Our new EP is out now! Go to our websites and buy you one! Be prepared for the onslaught! Check us out! Fistaface is searching for a Lead Guitarist & Bassist! Fistaface is searching for a new bassist! Check This out! Fistaface on 98.9 The Bear's Local Licks show Mon. 4/27! Fistaface on 98.9 The bear's Local Licks Mon. 9/15! Listen! Fistaface has found a new bassist! Thanks to everyone! Fistaface wants to trade shows??? ?